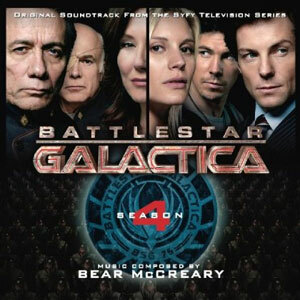 Battlestar Galactica: Season 4 Soundtrack Is Out! The long-awaited soundtrack for Battlestar Galactica: Season 4 is finally out, and rocketed up the sales charts on Amazon. In fact, La La Land Records was forced to scramble to print more discs after their initial run sold out in pre-orders alone. For the past week, it has been in the TOP TEN MUSIC SALES (peaking on the day of its release at #4), as well as the #1 selling TV SOUNDTRACK and, surprisingly, the #1 selling MOVIE SOUNDTRACK! Immediately following our successful concerts at Comic Con last week, this phenomenal reaction to the album release is, of course, a welcome surprise. However, I must confess that my greatest sense of achievement comes from simply getting this music out there. My work on Season 4 began almost exactly two years ago, and since then, I’ve given every ounce of my passion, energy and dedication to the singular goal of writing and producing the best music I possibly could for Galactica‘s swan song. Watching fan reaction to the episodes was satisfying, but it was maddening having the score cues simply sitting in my studio for so many months (or in some cases years), and not being able to share it with all of you. My wait… our wait is finally over. After many months of editing, re-mixing and even re-arranging and composing new segments, the soundtrack is out. I know everyone ingests music in different ways, but I recommend that you sit down in front a great sound system, or take your iPod somewhere quiet, and listen intently to these tracks. I ordered them so that the album provides a rewarding artistic experience simply as music, separate from the show. Trust me, you’ll enjoy it even more. When I originally collaborated with AJ for this episode, he and I sent each other demos from LA to Vancouver, as I tweaked the melody and key of my tune to fit his voice. I was absolutely stunned by the quality of his singing. Even recorded on his own microphone in his house, I could hear the immaculate talent and years of training in his voice. I knew immediately that I’d have to share it with all of you, because his performance in the episode (singing while writhing in agony) would not adequately show what he can do. 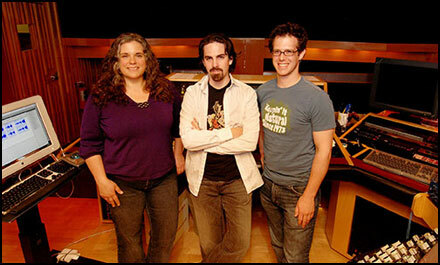 In the studio, AJ was a dream collaborator. Within minutes, I had completely forgotten I was working with an actor / cast member / television star and knew I was working with a musical professional. Without even realizing it, I skipped over the usual candy-coated suggestions a producer sometimes must give artists and began giving him detailed notes. He responded perfectly, interpreting what I was saying into an even more polished performance. But, don’t let me suggest that I had anything to do with creating the vocals you’re hearing. This is pure AJ. In fact, I wrote the orchestral arrangement around him specifically to showcase what I knew he could bring to the piece. I am thrilled that all BSG fans can finally hear what I heard in my imagination almost two years ago when AJ sent me his first demo vocals of the Lament. This could be the most outrageous space battle music I ever wrote. I had really run out of percussive steam by this point in the season and felt like the battle here needed something special. So, we set aside the percussive tribal rhythms that had come to be standard for BSG space dogfights and went with a restrained, religious tone. The melody is unique and haunting, appearing only once more in the series (No Exit). This cue marks the first appearance of Doctor Osamu Kitajima in BSG, playing the biwa. My experience with him was so good, I featured him prominently in The Oath and Blood on the Scales. þin liċfæst in blode ond lieġe. Your image in blood and flame. Nu ond æfre to alder. What would a Galactica album be without an epic arrangement of “Wander My Friends”? For the introduction of this piece, bagpipe virtuoso Eric Rigler played the theme on the Small Scottish Pipes, an instrument I hadn’t written for yet. I changed the mode of the melody to Mixolydian, for an authentically Renaissance sound, which helped highlight this particular version. 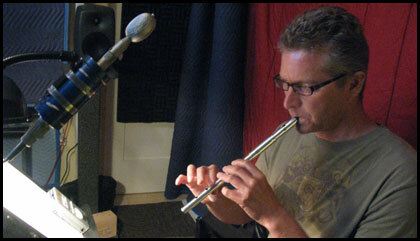 He then picked up the tune with the Irish Whistle and eventually Uilleann pipes. And Paul Cartwright’s fiddle solo in the B-Section is among his most gorgeous performances yet for the series. The bleakest and darkest composition I have ever written (with one exception), “Among the Ruins” captures the despair in the fleet when they find Earth a charred cinder. Listen carefully with a good pair of headphones, and you’ll hear that the violins are actually seated far left and far right, instead of next to each other. I wrote dissonant, antiphonal lines that create an acoustic “delay” effect on the recording. You’ll hear the line begin first in the left, and then pick up on the right. Adding to the spooky effect, the orchestration is completely empty in the mid-range: the violas, celli and basses hold clusters in their bottom registers, while the violins play at the top of theirs. The middle section features a stunning erhu solo by Martin St. Pierre, that underscored Kara finding her body on Earth. The ending section of this suite is taken from the closing moments of the episode, when the final cylon is revealed. I actually arranged these cues in this particular order initially for the BSG ballet “Prelude to War” that premiered last March. It worked so well on stage, that I kept it for the album. This is the most aggressive version of “Roslin and Adama” I ever wrote for the series. I don’t know what else I can say about this track that hasn’t been said in the 30-minute documentary about it on the Season 4.5 DVD, called “Evolution of a Cue.” In that film, we walk you through the initial concept, composition, orchestration, recording, mixing and the final dub of this particular piece. It’s definitely worth checking out. Equally grim as “Among the Ruins,” but more passionate and lyrical, “Funeral Pyre” covers more of the dark territory of the episode. The first segment underscored Laura’s bookburning and Kara setting her body ablaze. Listen for woeful renditions of Roslin’s Religious Theme and the Starbuck Theme. The second half features Kandyse McClure, providing her own haunting ghostly voice as Adama mourns at her body. Check out the “Notion” blog entry for stories about that session. This is the Lament as it actually appeared in the score, accompanying the intense montage that closed this episode. Despite the title, it is not merely an instrumental version of track 1, but an entirely different piece of music. 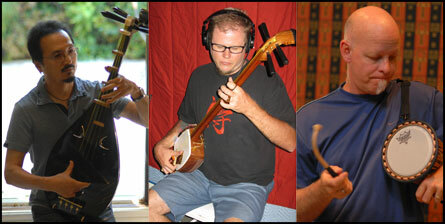 This cue features Steve Bartek on guitars and John Avila on bass. I love how well this tune works, even without the words. This performance of “Elegy” opened the episode, as we watched a montage of Kara’s daily routine intercut with hands playing on the piano. This track was produced using samples I made of the actual piano on the Galactica hangar deck set. When I sat there with the actors and played this song, this is what it sounded like. Check out the “Someone” blog entries for details, because I’ve already said it all. “Alliance” marks the transition this episode takes, from dark brooding strings to the pastoral and warm rendition of the Final Four Theme (yes, it really is the Final Four theme!). I’m not sure why, but this track reminds me of some of the best action cues in Season 1. Listen for Gaeta’s Lament and the Zarek Theme woven throughout this piece. I had an extra 60 seconds on the disc and realized that this little gem would fit there. This piece is incredibly simple, but the shot of Adama and Tigh sitting on the couch after they decide to abandon Galactica always brought me to tears. 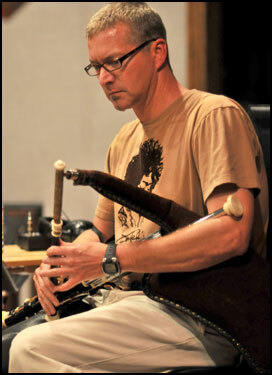 I’m glad I could include it, and feature Eric Rigler again on the Irish whistle. The only action cue from an otherwise dialog-centric episode, this track features Steve Bartek on guitars and John Avila on bass. Statements of the Final Four theme permeate throughout. Starting around 1:05, check out the bass line… there’s this one note that almost feels wrong, like it doesn’t fit. I love it. Over the course of the episode, you witness Slick struggle with his composition. This was a parallel to my actual process, since I was writing the music in stages, literally coming up with a section or two the night before we shot each scene at the piano. The result is a very genuine depiction of my creative process: on camera, Slick is playing the pieces as I wrote them. At the end of the episode, Kara puts on her father’s recording and we get to hear about a minute of the finished composition. However, I always wanted to go back and finish the sonata: to stitch together all the sketches heard throughout the episode into a complete work. This album finally provided me that opportunity. I wrote “Dreilide Thrace Sonata No. 1″ last spring, incorporating all the various piano cues into one cohesive whole, and recorded it on the concert grand at the Warner Bros. Scoring Stage. No samples here, ladies and gents. Like “Battlestar Sonatica,” this is the real thing. Writing this piece was one of the most difficult and emotional experiences I’ve ever endured. It will probably be years before I can listen to this composition without breaking down. ”Diaspora” is probably the strongest piece of music I’ve ever written, and I feel that it eclipses everything else on this album. Check out the blog entry for the episode, I basically covered everything. An interesting side note, though: I was struggling to write this piece when David Weddle and Bradley Thompson called me for help with their dialog for Slick in Someone to Watch Over Me. When Slick talks about his creative frustrations, he was essentially quoting me as I was venting to the writers about my attempts to write this piece. That’s why I put “Dreilide Thrace Sonata” and “Diaspora” back to back on the album. Here we are on the second disc, which includes virtually the complete score for Daybreak. ”CC, BTF” is the first appearance of the Earth Theme, although it technically was the Caprica Flashback Theme at this point in the episode. This track also encapsulates many other character themes, as we jump from story line to story line. Can you pick them all out? There’s a Season 3 track that returns for the first time here. The Military Theme, criminally under-represented on previous albums (sorry about that guys), is a major force in the Daybreak score and is heard here. A gorgeous arrangement of Roslin’s Religious Theme, this is Season 4′s answer to Season 2′s “Epiphanies,” but it blows it out of the water. At the climax, the cascading string lines represent the water pouring over her body, washing away her misery. Eric Rigler introduces “Wander My Friends” on the Irish Whistle, before somber, yet hopeful, strings state the Military Theme. I love the contrapuntal lines swimming beneath the melody here. As Adama stops in the hallway and turns around, the score pauses and then builds intensity as he returns to Hera’s picture, determined now to save her. I wanted to deliver the biggest action cue I possibly could and… well, I think I succeeded. Clocking in at over 15 minutes, this suite actually benefits from the massive running time, because it draws the listener in and never lets up. There are so many character themes here that I don’t even know where to begin. In fact, I’m more curious about what you guys hear in this, so I’m not going to spoil the surprises. Crank this one up and enjoy it. I think it’s my greatest action cue in the series, easily ranking up there with “Battle on the Asteroid,” “Prelude to War” and “Storming New Caprica.”. 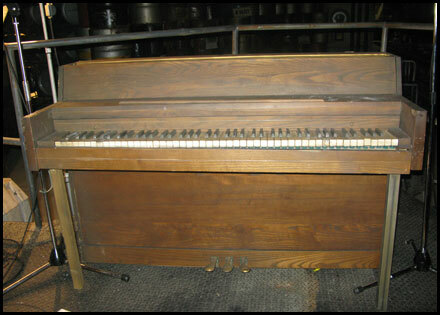 Oh, and in the closing moments, listen for a statement of the Final Four Theme on Slick’s piano. From here to the end of the album, we’re in new musical territory, because these cues come from Galactica‘s final act, on Earth. Introducing this pastoral and symphonic chapter of the soundtrack album, “Earth” is a beautiful arrangement of the Earth Theme, first heard in Track 1. I had the opportunity to bring back “A Promise to Return” and took it. In Season 2, that piece underscored Kara saying goodbye to Sam as she left him on Caprica. Now, it was his turn to leave, and I wanted their musical journey to come full circle. The Season 2 piece was performed by a string quartet and this version has the full orchestra behind it, as well as ethnic soloists including Chris Bleth, Paul Cartwright and Martin St. Pierre. Admit it, this track is a killer! :) It starts off with “Wander My Friends,” as Adama leaves Galactica in a viper. Then, it transitions to a final statement of The Military Theme to underscore his flashback on Caprica at the job interview. 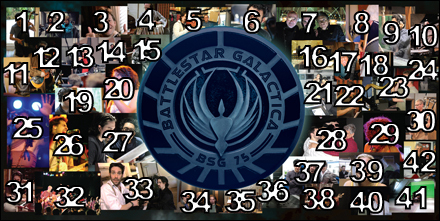 And then, as we say goodbye to the fleet forever, we hear a new arrangement of Stu Phillips’ classic “Theme from Battlestar Galactica.” There were many hard decisions I had to make while scoring the finale, but this was not one of them. The instant I saw the fleet flying into the sun, I knew immediately what the music would be. My collaborations with Stu have been a highlight of the series for me. In fact, I will be conducting “The Heart of the Sun” in a concert celebrating Stu’s 80th birthday with the Golden State Pops Orchestra on October 24th! Details about this exciting event will be up on the blog soon. This is the final movement in the long, complex symphony that could be written about Kara Thrace. While it doesn’t encapsulate every single theme I’ve ever associated with her, it brings a sense of closure. Just as she disappears, we hear the haunting erhu restrains of the Kara Destiny Theme and the simple string statements of the Lee / Kara Love Theme one final time. This was another piece, like “Disapora” that nearly killed me. I literally broke down sobbing multiple times as I worked on the scene. Read the Daybreak blog entry for more. I can’t write about it again, it’s too intense. Same note here. Read the blog entry. I summarized it better there than I possibly can here. All I can say is, musical threads from “Diaspora Oratorio” and “The Shape of Things to Come” finally return, and the result is epic! The epilog to the album is almost a little musical in-joke: ”150,000 Years Later” sounds like a new version of “One Year Later.” I wanted to end the record with “Easterly View,” but decided at the last minute to include this as well. However, we put a nice long 30 second pause between the tracks, so that you can let the tail out of “Easterly” wash over you before moving on to this last, final epilog. If you’ve been following the blog for a while, or seen any of our concerts, you know that the Galactica musicians are a family and they’re all here on this album. That’s why I wanted to include the full page photo montage at the center of the album liner notes. Here, you can see all the musicians in action and get a sense of the behind-the-scenes characters that bring this music to life. It is a bit unusual to have something like this in a soundtrack album, but I knew that you BSG fans would appreciate this. 1). Doctor Osamu Kitajima plays biwa. 2). Raya Yarbrough and my mom show off Raya’s new ring at the “Daybreak” scoring session. 3). Jamie Bamber salutes the “big, Irish Bear.” 4). M.B. Gordy plays tabla. 5). Me with La La Land guys Michael Gerhard and Matt Verboys, holding the first printing of the Caprica CDs. 6). 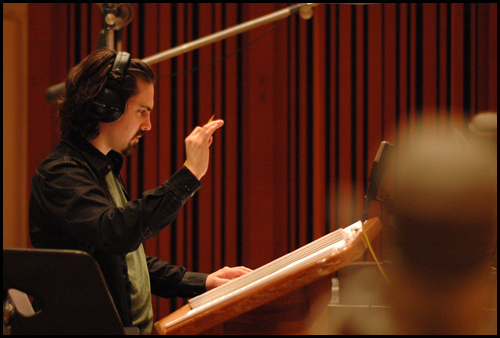 Orchestrator Brandon Roberts. 7). The XO, the Composer and the Admiral. 8). M.B. 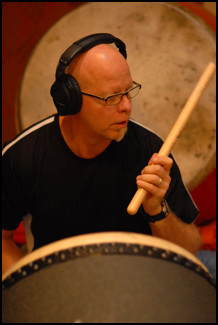 Gordy plays nagado daiko. 9). 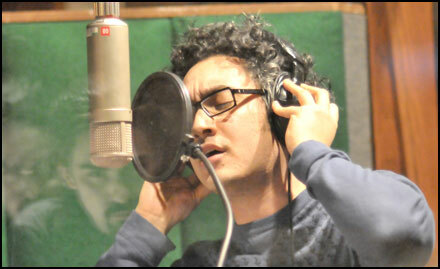 AJ’s vocal session, on my 30th birthday! 10). 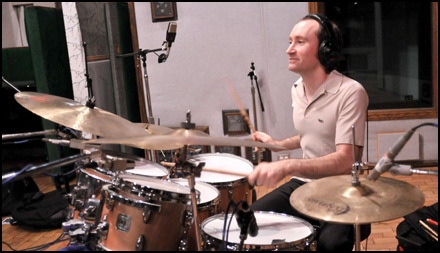 Drummer Nate Wood. 11). Scoring coordinator Aaron A. Roethe 12). Steve Bartek plays dobro, John Avila in background, live at The Mint in 2006. 13). Conducting “Daybreak.” 14). 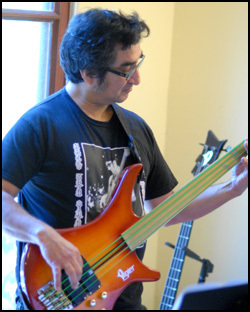 John Avila plays fretless bass. 15). Dead Kara and Me. 16. 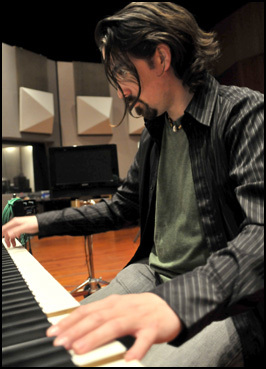 Co-producer / Mixer Steve Kaplan 17). John Avila rocks the “Watchtower” session. 18). Kandyse, myself and Raya at The Roxy, 2008. 19). Wild man Paul Cartwright. 20). Kandyse hosts the Roxy concert, 2008. 21). Brendan and I make urgent phone calls in the CIC. 22). 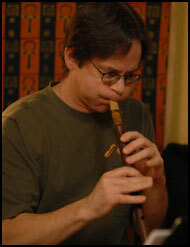 Chris Bleth plays duduk. 23). Eric Rigler plays the shofar. 24). Viper pilot McCreary. 25). Raya Yarbrough performs. 26). Brendan McCreary sings “Watchtower.” 27). Me and AJ study the score to “Gaeta’s Lament.” 28). Bartek and the McCreary boys try to kill each other. 29). Raya Yarbrough. 30). Eric plays the Great Highland Pipes. 31). I play harmonium. 32). The full band, live at the Roxy. 33). James Callis shows me how to play sad music. 34). Booklet designer Mark Banning with AJ and myself. 35). Conducting the “Revelations” choir. 36). Playing piano on the baseship. 37). AJ, myself and James standing in front of a BSG trash can. 38). Bartek playing Portugese guitar. 39). Katee’s wonderful smile. 40) La La Land producer Ford Thaxton and me. 41). Me on set with young Kara in the hangar deck. I hope you guys enjoy this CD. Stick around the blog and the BSG Orchestra website in the near future, because there are many updates coming soon. I’ll do entries about the concerts last weekend soon, as well as about upcoming shows, sheet music releases, soundtrack albums, new TV, film and video game projects and much more. In the meantime, crank this CD up loud!